It is hard to capture all that Sharon has done for the program. She has been a stellar interface with the community—helping parents, community members, patients, and other stakeholders with whatever needs and questions they would bring to her telephone receiver or email inbox. Sharon helped to keep us all organized and ensure that we were all in the right places at the right times. Keeping track of so many faculty members, staff, and trainees and our appointments, travel, vacations, and conference rooms is a full time job in and of itself. Sharon has contributed to the “Excellence” in our name by setting a high standard for professionalism, empathy, and quality of work. We realize that we have made her crazy at times, but she has absorbed our anxieties and demands with poise and calm. 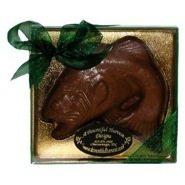 It is with great sadness that we see her go, and with great gratitude that we induct her into the order of the Chocolate Fish.